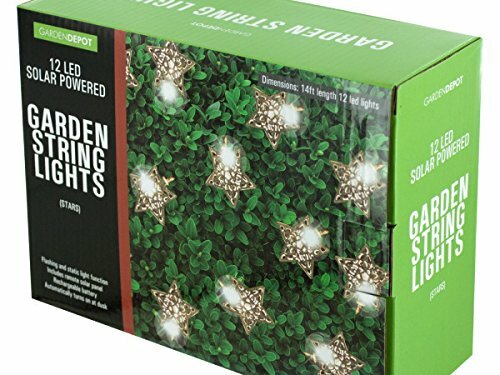 Great for outdoor accents and parties, this 12-piece Silver Star LED Solar String Lights Set features ornate silver metal stars with bright blue LED lights on a transparent plastic wire with a remote solar panel to stake into the ground. 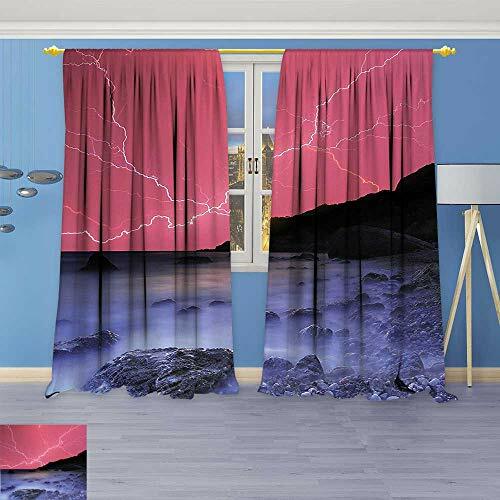 Lights come on automatically at dusk and have dual function: static and flashing. String measures approximately 14' long and stars are 2.5" x 2.5". 1 'AA' rechargeable battery included. Comes packaged in an individual box. Box measures approximately 8.25" x 3" x 6.125". Give your signs a mark of distinction with our Prestige sign system. The quality of our Prestige cast aluminum sign posts will elevate your signage above competing wood & vinyl alternatives. Our posts feature a durable, low maintenance White powder coat finish that will look great for years to come. Sign system comes with bayview solar lamp & scroll arm ready for your hanging sign. Post mounts directly into ground. System color White. (Length of scroll arm: 22.5" ) (distance between post & first hole: 3") (distance between holes on scroll arm: 13.5") (hanging sign not provided). Give your signs a mark of distinction with our Prestige sign system. The quality of our Prestige cast aluminum sign posts will elevate your signage above competing wood & vinyl alternatives. Our posts feature a durable, low maintenance White powder coat finish that will look great for years to come. Sign system comes with bayview solar lamp, ornate base, & scroll arm ready for your hanging sign. Post mounts directly into ground. System color White. (Length of scroll arm: 22.5" ) (distance between post & first hole: 3") (distance between holes on scroll arm: 13.5") (hanging sign not provided). 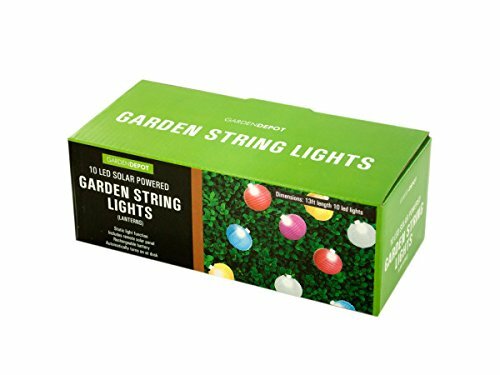 Case of: 4Colors: black, white, yellow, red, pink, turqoiseMaterials: plastic, polyesterGreat for parties and accenting the backyard, these Solar Garden Lantern String Lights feature ten colorful round fabric lanterns with bright LED lights on a plastic wire. 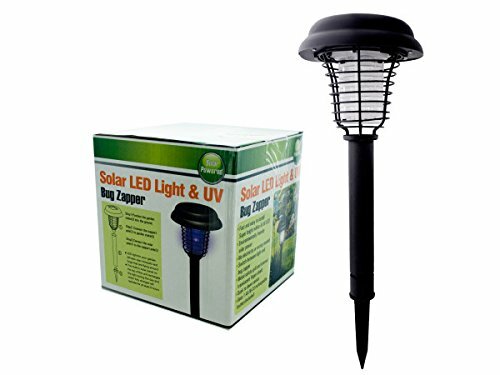 Lights automatically turn on at dusk with a solar panel and a rechargeable battery. Includes a ground stake. Lantern colors include white, red, yellow, pink and turquoise. Measures approximately 13' long. Comes packaged in an individual box. Give your signs a mark of distinction with our Prestige sign system. The quality of our Prestige cast aluminum sign posts will elevate your signage above competing wood & vinyl alternatives. Our posts feature a durable, low maintenance Black powder coat finish that will look great for years to come. Sign system comes with bayview solar lamp & scroll arm ready for your hanging sign. Post mounts directly into ground. System color Black. (Length of scroll arm: 22.5" ) (distance between post & first hole: 3") (distance between holes on scroll arm: 13.5") (hanging sign not provided). Give your signs a mark of distinction with our Prestige sign system. The quality of our Prestige cast aluminum sign posts will elevate your signage above competing wood & vinyl alternatives. Our posts feature a durable, low maintenance White powder coat finish that will look great for years to come. Sign system comes with bayview solar lamp, fluted base, & scroll arm ready for your hanging sign. Post mounts directly into ground. System color White. (Length of scroll arm: 22.5" ) (distance between post & first hole: 3") (distance between holes on scroll arm: 13.5") (hanging sign not provided). 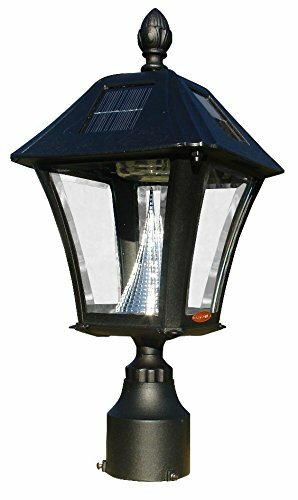 The bayview solar lamp with square base comes ready to mount on top of a 4" x 4" wood or cast aluminum post. The bayview's classic gas-light design features real beveled glass panes. With our super-bright LED's & patented cone reflector technology, guests will easily spot your address at night. Using efficient solar-powered technology, the bayview charges by day & automatically turns on at night (rechargeable lithium ion battery included). no wiring is needed. & with a weather-resistant powder-coated cast aluminum frame, no maintenance is required. Square base is made of cast aluminum & has a black powder coated finish.